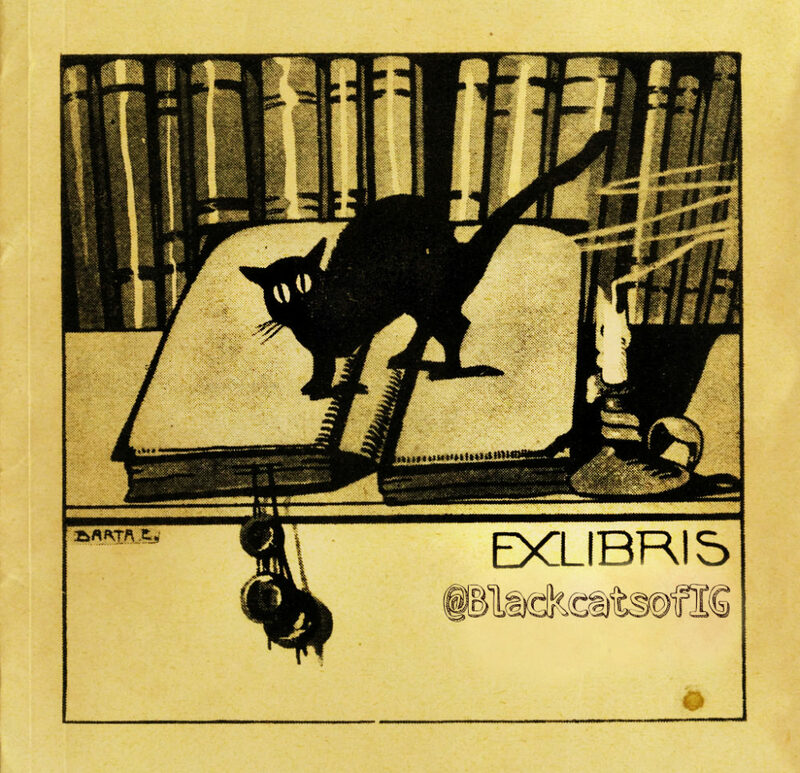 We’re celebrating International Cat Day by sharing our rare collection of antique feline-themed bookplates. 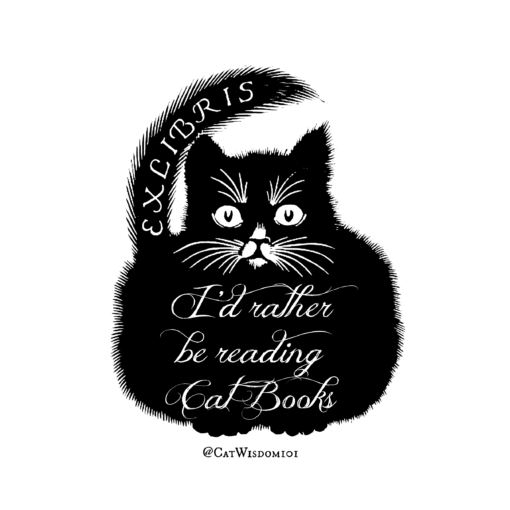 Plus we believe nothing beats a purring cat on your lap except reading a cat book with a cat purring on your lap. May I demonstrate, your truly, Clyde with a copy of Writers And Their Cats with you know who. 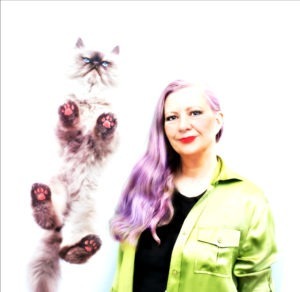 The new book by Alison Nastasi showcases behind-the-scenes stories of 45 famous writers photographed with their cats. It’s a solid, well-designed hardcover from Chronicle Books and won’t be out until August 21 but you can snag a pre-order directly from the publisher. Cats and writers naturally go together as Canadian novelist and playwright Robertson Davies once wrote, “Authors like cats because they are such quiet, loveable, wise creatures, and cats like authors for the same reasons.” I agree 110%, don’t you? Now, to be perfectly frank (aren’t cats always?) the cover shot of Truman Capote would not have been my choice. Capote, best known for Breakfast At Tiffany’s features a red tabby named Orangey. The tabby on the cover with Capote is his own Tabby but I could find no reference to his/her name. 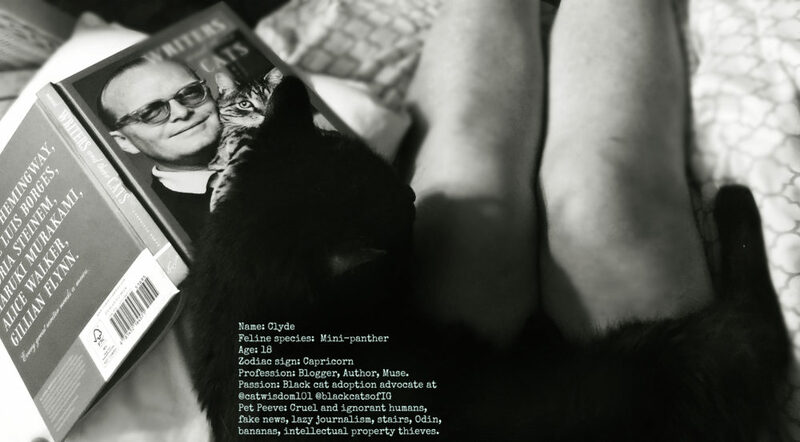 The truth is Capote was as much of a dog lover as a cat lover and often traveled with his bulldog to Europe. Capote’s childhood nickname was Bulldog and ironically Layla’s grandmother shared the same nickname and passion for bulldogs. But I digress. 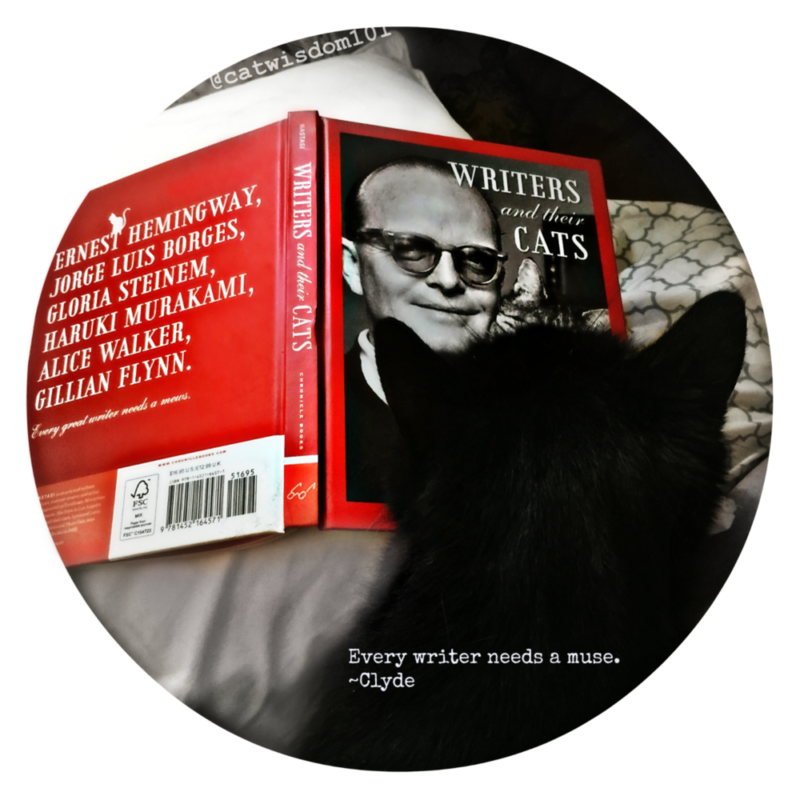 Writers and Their Cats is a juicy mix of writers, dead like Hemingway to alive like Gillian Flynn of Gone Girl fame. It make a lovely addition to any cat lover’s cat book collection. Hemingway like most writers of another generation glued custom book plates into every book they owned. 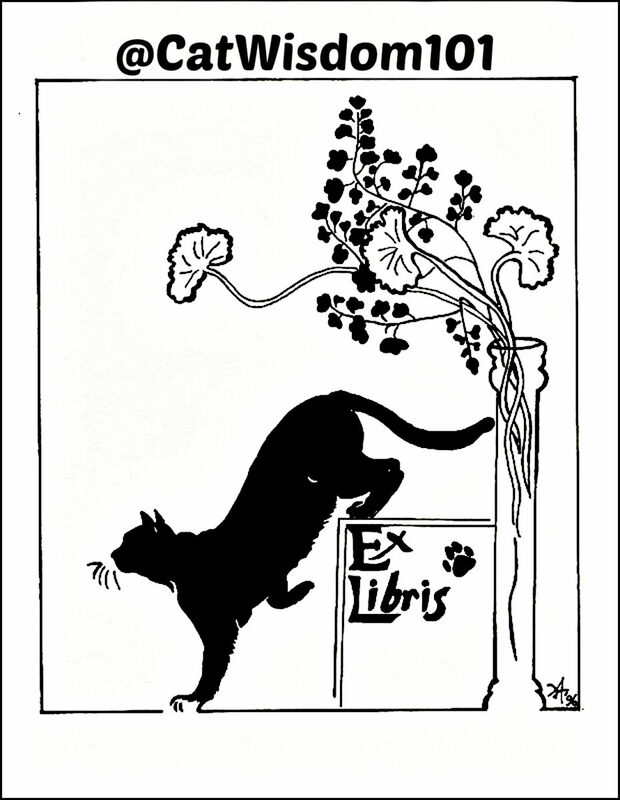 You can see his custom bookplate and a bunch of other famous men’s book plates including a few cat lovers but tsk, tsk, none include cats. 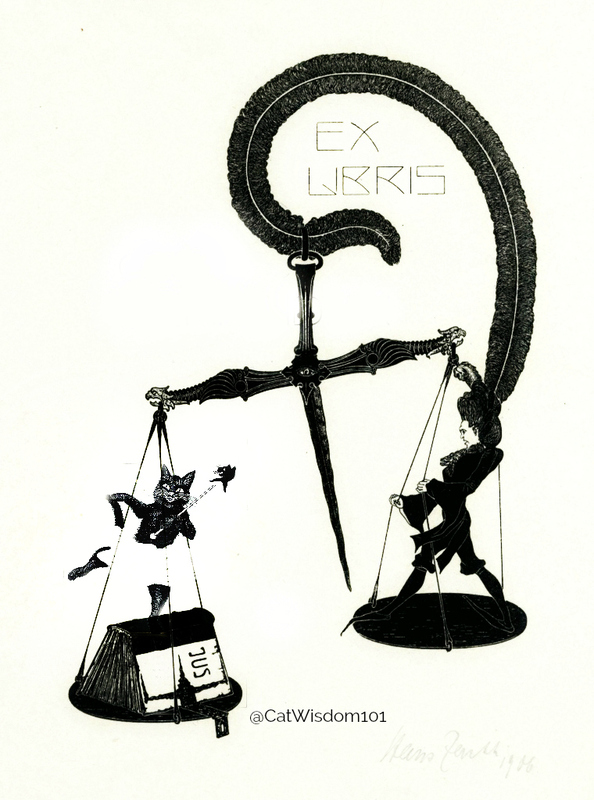 Bookplates or “ex libris,” (meaning “from the books of” in Latin) evolved from the Middle Ages as a form of marking book ownership. Book were highly coveted and only nobility or the very wealthy could afford. The bookplates were separate pieces of parchment and glued to the interior. At first handwritten names were added and perhaps with medieval book curses that warned against theft. The first decorative bookplate dates to 1480. 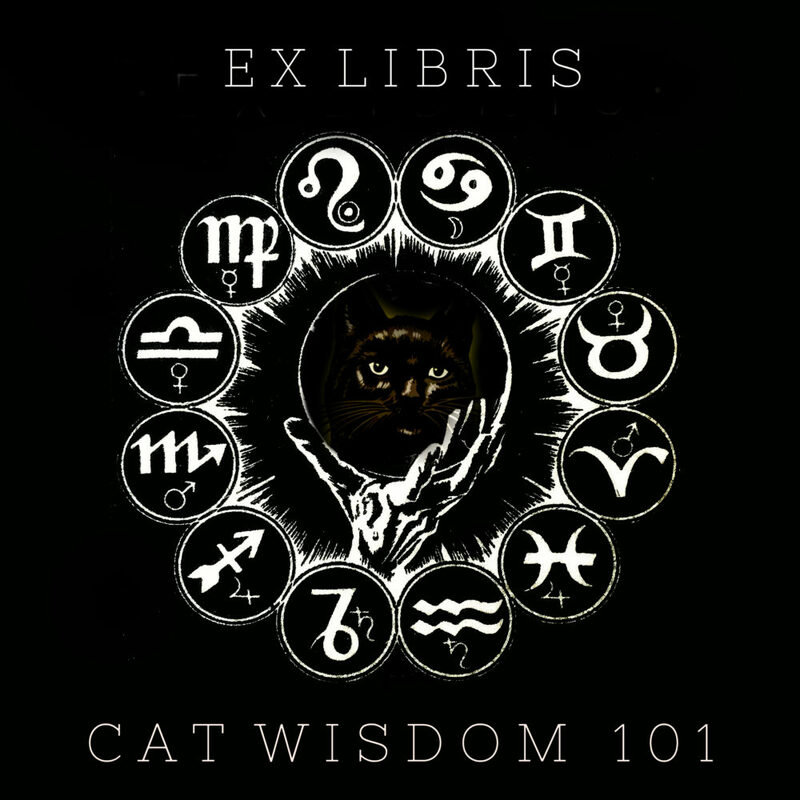 Styles of bookmarks evolved through the centuries and often included a coat of arms or symbology of topics close to the book owner. Custom bookplates fell out of favor over in recent decades but they are now a fun, affordable way to personalize your books. Tell us your favorites and we may add them to our store. We’ve tweaked the designs but haven’t played with colors yet. Most of the artists are unknown but some left initials which are included. The originals in our collection are white to shades of beige and date pre-1920 but I think would look great in color. Would you like first one on a t-shirt and book bag? It’s Layla’s favorite but it could have any saying. This is my favorite since the cat looks a lot like me! Cats romping on open books with objects like candles are common but there are some deliciously quirky ones. We redesigned this for astrology buffs. Life is a constant balancing act but a good book and a purring cat makes it easier. Those were fun to see! What fun bookplates! The mom has a bookplate in some of her books, but you’re right, they’re not as popular as they once was. I had windjammer bookplates years and years ago…think I might be able to find the remaining few in their box somewhere! Never thought about updating, until now! 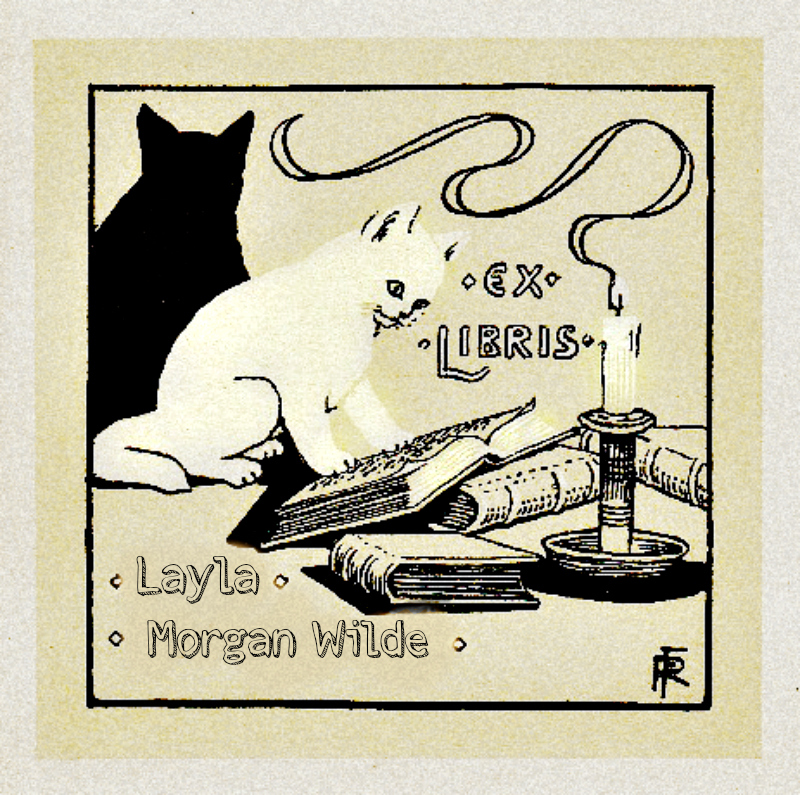 Cool cat bookplates! 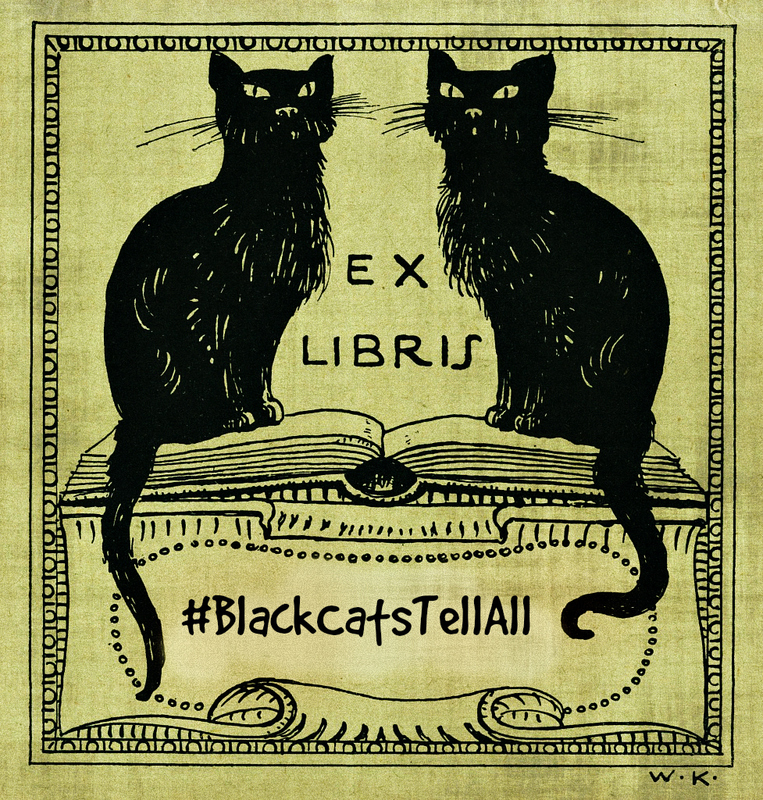 I love the idea of bookplates! Especially with cats on them. I wish the tradition would return. Clyde! 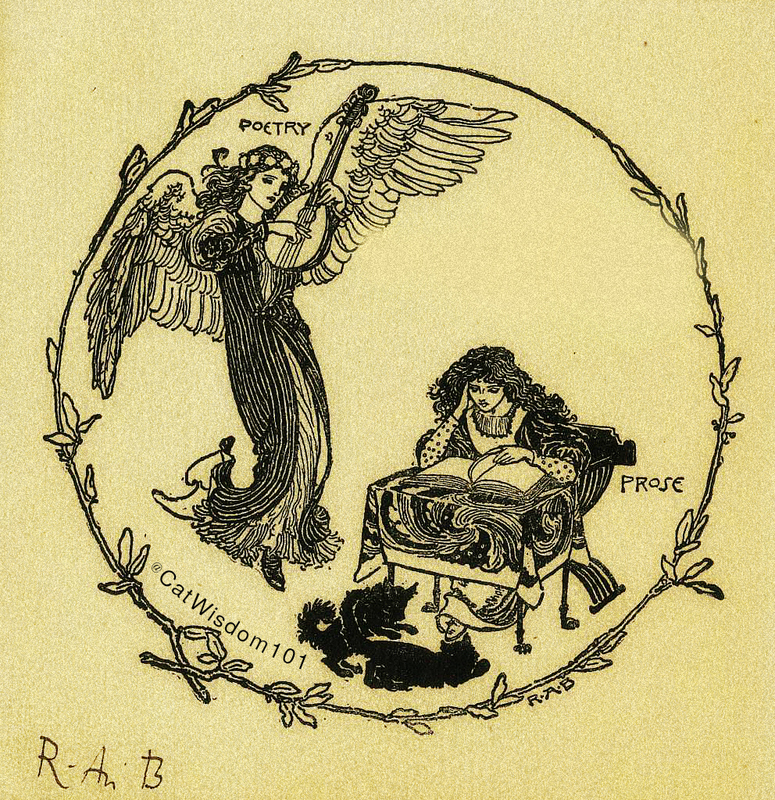 That bookplate really does look a lot like you, dear pal. Happy International Cat Day! 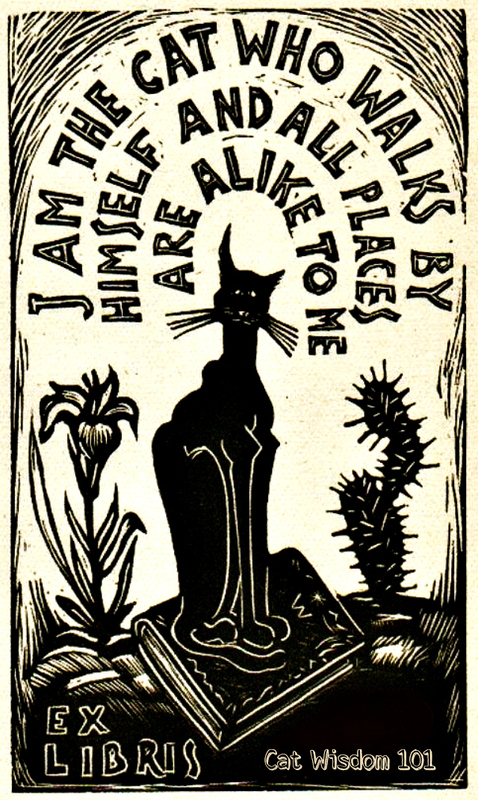 I love these cat book plates! I need to check out that book too! 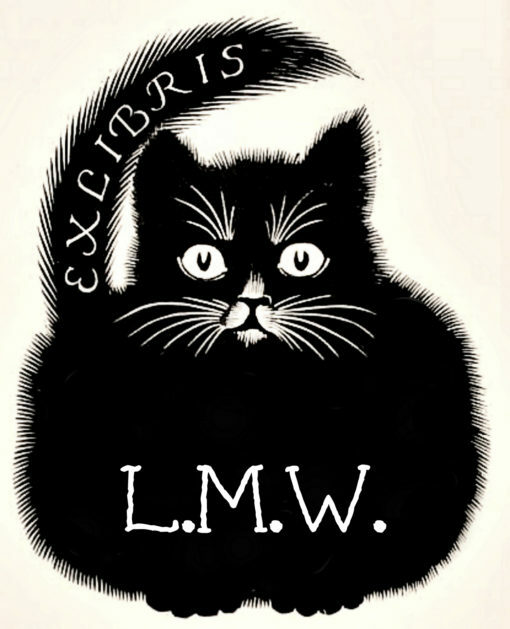 I wonder if you’ve seen any cat bookplates in NZ? Id love to see them.